The Restaurant Boulestin, known as the most expensive in London, opened in 1927. Its fame, and the long series of books and articles that Boulestin wrote, made him a celebrity. 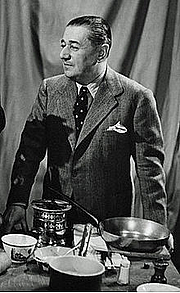 His cuisine was wide-ranging, embracing not only the French classics but also dishes familiar to British cooks. X. Marcel Boulestin is currently considered a "single author." If one or more works are by a distinct, homonymous authors, go ahead and split the author. X. Marcel Boulestin is composed of 5 names. You can examine and separate out names.